The Oracular Opinion: O’Keefe Gate!? There were charges of voter registration fraud made against them, not voter fraud.Like a worker putting down fake names,like the Dallas Cowboys line or Mickey Mouse.They were red-flagged by ACORN and turned in to the registrar,per law. I think the kid's moment of fame went to his head and he overreached. Oso & NFO: Fixed it, thanks. My understanding is it would be more like 20 years if he is convicted of all the charges. The motivating factor, is what the police will try to determine. Was it just another documentary video (news reports say their hard hats had cameras)? What information were they seeking with the wire tap equiptment? This Attorney General (father of one of the crooks) owes his position to Sen. Vitter. Follow the money and political connections. Basic lessons in investigative reporting. Woodward and Bernstein 101. The dozens of Republican House members who signed a proclamation praising this young man for his ACORN video, should also sign a proclamation condemning his now, criminal, felony behavior. History tells us that people will do anything (including breaking the law) to gain political favor. That was the intention of his ACORN video. This incident appears to be no more than one of his misguided ideas (criminal idea) but I would not be surprised to learn there was more to it, or more people (higher in Republican politics) involved. I am so impressed by your wllingness to view both sides and make independent decisions.Thank you for running such an open forum. Oso: What did you think I would do, if you don't mind me asking? I expected you would acknowledge my point.I didn't realize you would take it a little further and edit the text to keep it accurate. Most bloggers might have acknowledged it only.May be a matter of pride in your blog. Oso: I research to try and be as "accurate" as possible but I'm not perfect therefore when a mistake is "found" I want it "fixed". And yes, there is pride involved also. Thanks for your compliment by the way! Tom: I just heard today that O’Keefe and the others were trying to “prove” that Landrieu’s office was avoiding telephone calls. Supposedly her constituents have been trying to call her since the “Louisiana Purchase” and her office hasn’t been answering the phone. So, O’Keefe may not be charged with “illegal wire-tapping” but some lesser charge. Nevertheless, this will be a blemish on his reputation. History tells us that people will do anything (including breaking the law) to gain political favor. History tells us that SOME will do anything. O’Keefe may not be charged with “illegal wire-tapping” but some lesser charge. I don't expect they'll serve time (or much time, anyway) if they plead or are found guilty, but that doesn't mean that the law they broke isn't a serious one. Those who're starting to dismiss it all as a "youthful prank" don't seem to have much respect for the rule of law. Respac: I'm certainly not dismissing this as a "youthful" prank. He's 25 yrs old and KNOWS better! The more we find out, the less serious the incident seems to have been, but it is still a felony charge. The more we find out, the more we now know how many Republican political connections all the crooks have. This morning the news is reporting that the judge put a gag order on all parties, but O'Keefe has been blogging and tweeting about it. This guy is stupid. The last thing he wants is a pissed off judge. A journalist doesn't break the law while investigating a story. It should be more than a blemish on his record, he should be looking for a new career, as people disregard him as a serious journalist, and stop promoting his illegal antics. Tom said: The more we find out, the more we now know how many Republican political connections all the crooks have. Tom: I believe I’ve made my stance on “generalizations” known. Political parties don’t commit crimes, HUMANS do. Humans can be dishonest; humans can be greedy; humans can lie, cheat and steal. It just so happens that humans vote and some are Republicans and some are also Democrats. Personally I could care less about the political party. Just follow the dog-gone law already. I’m in total agreement with you that O’Keefe is foolish if he’s tweeting and blogging about this incident since the Judge issued a gag-order. I also agree that a good journalist doesn’t need to break the law to get information. This kid did something illegal and anyone who rationalizes his actions is remiss in their morals. "The more we find out, the less serious the incident seems to have been, but it is still a felony charge. 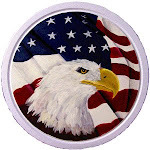 The more we find out, the more we now know how many Republican political connections all the crooks have." The first paragraph is no different than the second paragraph. They are facts based on news reports. I made no accusation that the Republican party was behind these crooks, knew what they were doing, or involved in any way. In fact I don't believe that at all. Motivating factors are relevant. It is only good police work, to find out IF there was something more to their plan, than just their own personal motivation. I do find that the over two dozen sitting Republican legislators who signed a proclamation praising O'Keefe before (and couldn't wait to get in front of the cameras to say so) are now nowhere to be found and unwilling to condemn his criminal actions. That is simple hypocrisy. This kind of stuff won't stop if people don't speak out against it. By people, yes, I mean the same Republicans who praised him, should now be condemning him. Pam: I don't want to speak for Tom, but I think he was trying to say that all four of these alleged phone tamperers (teabuggers) had pretty extensive ties to Republican organizations and politicians, and not that all republicans are crooks, or all crooks are Republicans, or any generalization like that. Tom: I'm sorry I misread and thought it was YOU stating that paragraph. Although I still stand by my statement that it's not ALL but SOME and it's still PEOPLE NOT parties that commit crimes. I agree that those who suppoted him should "speak out" about how they feel NOW. I listened to Hannity the other day just to see if he'd say anything. Nope. Nadda. I wasn't surprised. I think he should say something. 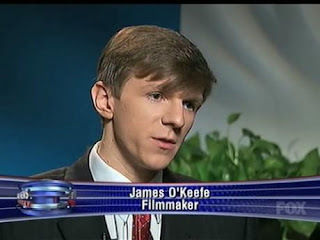 Does Hannity agree with O'Keefe? I sure as heck don't and I'm not afraid to say it. He broke the law for crying out loud! How can anyone think he's right? Respac: Well if O'Keefe & others were trying to "follow in the footsteps" of those guys, they are more stupid than I first thought. I guess we'll have to wait and see how this plays out. It will not be dull, that's for sure. I can't remember the exact wording, but another charge has something to do with being on (breaking and entering?) federal property without authorization. That's a biggie. I have to say that the first thing that came to my mind was Watergate. tnlib said: I have to say that the first thing that came to my mind was Watergate. I beleive it's the "federal property" that could get him 10 years! I don't agree with fraudulent representation to gain entry to something. Only the police should be allowed to do so, and this only in carefully monitored and controlled circumstances (under cover). The rest should be treated as criminals. Pamela: It looked like Repsac gave a laundry list of "rogues" like Atwater and Rove without saying that they actually did anything wrong. Well, the main thing they did wrong was successfully run "tell it like it is" campaigns and defeat the Dems in elections. Dmarks: Both parties have rogues; however it seems the only “illegal” rogues are on the right side according to the left side, eh? Donald Henry Segretti (born September 17, 1941, in San Marino, California) was a political operative for the Committee to Re-elect the President (Nixon) during the early 1970s. Segretti was hired by friend Dwight L. Chapin to run a campaign of dirty tricks (which he dubbed "ratfucking") against the Democrats, with his work being paid for by Herb Kalmbach, Nixon's lawyer, from presidential campaign re-election funds gathered before an April 7, 1972, law required that contributors be identified. His actions were part of the larger Watergate scandal, and were important indicators for the few members of the press actively investigating the Watergate break in in the earliest stages that what became known as the Watergate scandal involved far more than just a simple break in. Segretti's forged authorship of the "Canuck letter" typifies the tactics Segretti and others working with him used, forging a letter ascribed to Senator Edmund Muskie which maligned the people, language and culture of French Canada and French Canadians, causing the soon to be Democratic presidential candidate Muskie considerable headaches in denying the letter and having to continue dealing with the issue. Many historians have indicated over the years that Muskie's withdrawal from the Presidential primaries, and the disastrous Iowa primary loss to George McGovern that precipitated it, were at least partly the result of Segretti and some of the other "Ratfuckers" creating so much confusion and false accusations that Muskie simply could not respond in any meaningful way. Sure, these three "rouges" did play their parts in successful campaigns against their Democratic enemies, but since when do the ends justify the means? Pam: It is true that most on the left are more likely to point out the illegal or immoral acts of those on the right, but are you suggesting that the same is not true of many (most?) on the right, and the folks whose acts they are more likely to discuss? 'operative'. It appears O'keefe has heroes to look up to..